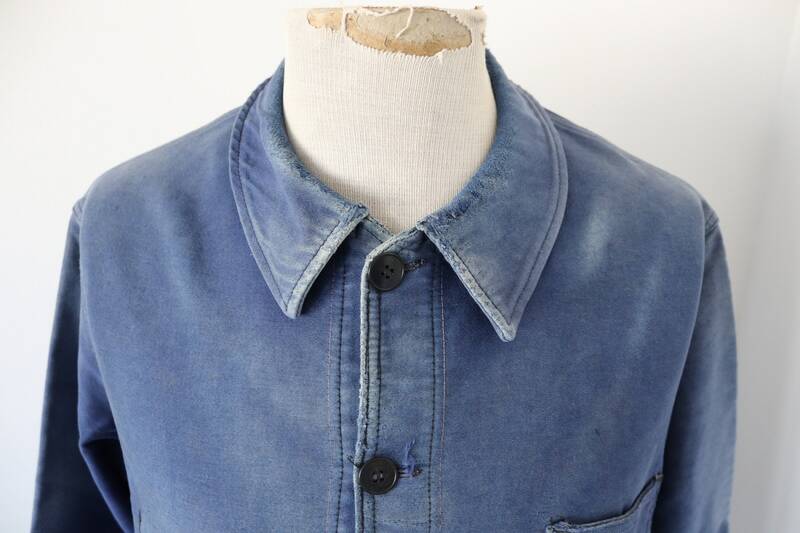 THIS ITEM JS RESERVED! 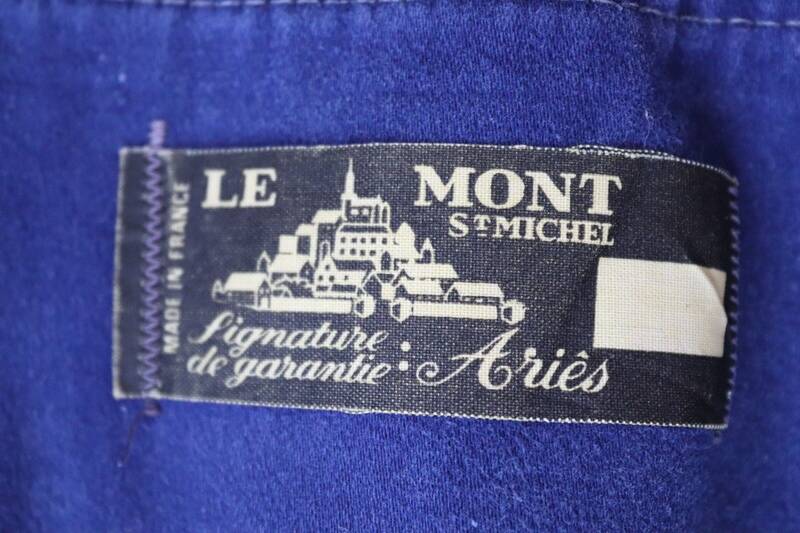 PLEASE DO NOT PURCHASE! 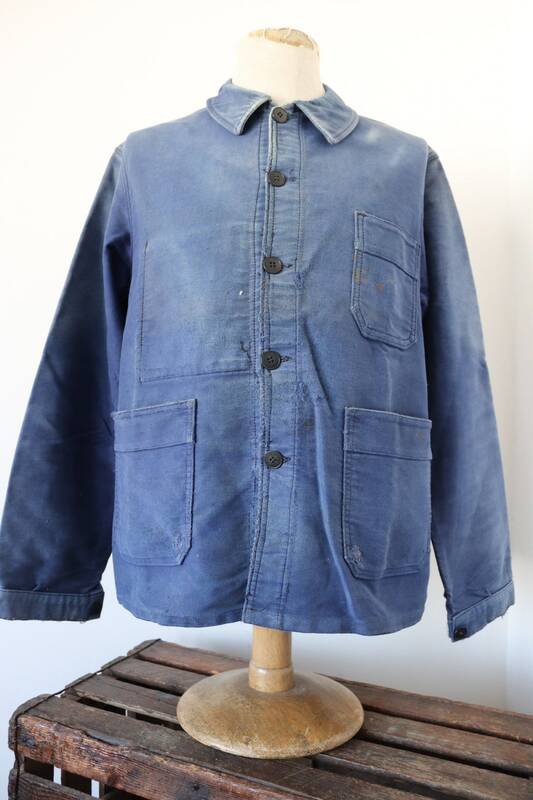 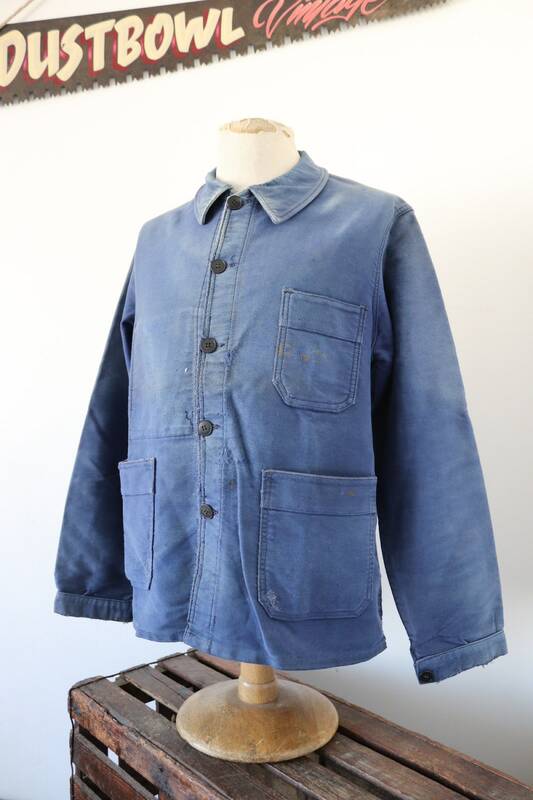 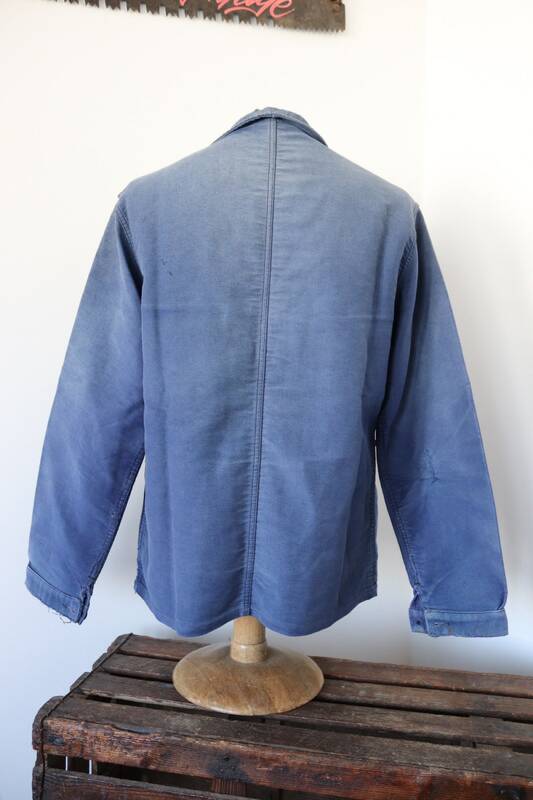 A blue French moleskin chore jacket by classic French workwear brand, Le Mont St Michel, dating from the 1950s. 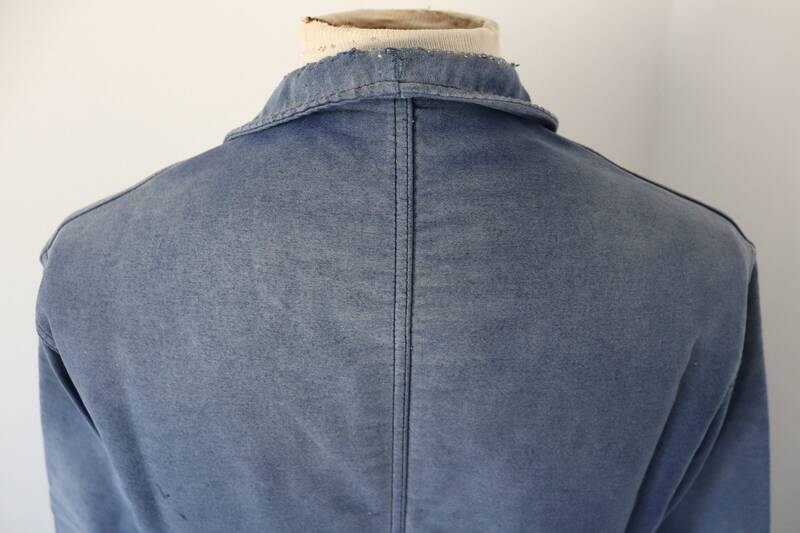 Noted flaws - sun fading, small marks, frays and repairs throughout - please see photos. 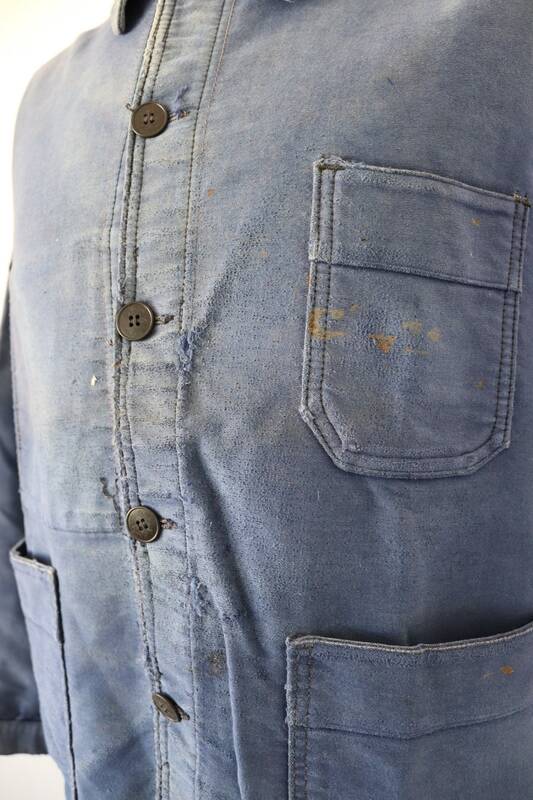 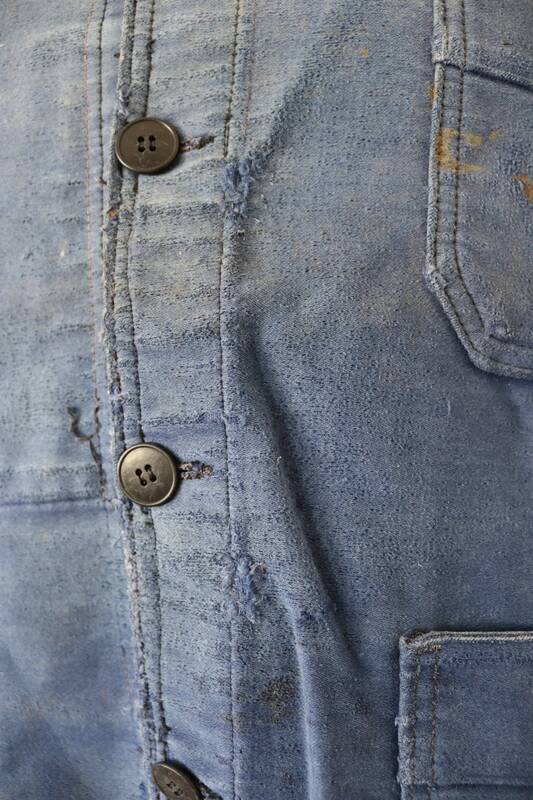 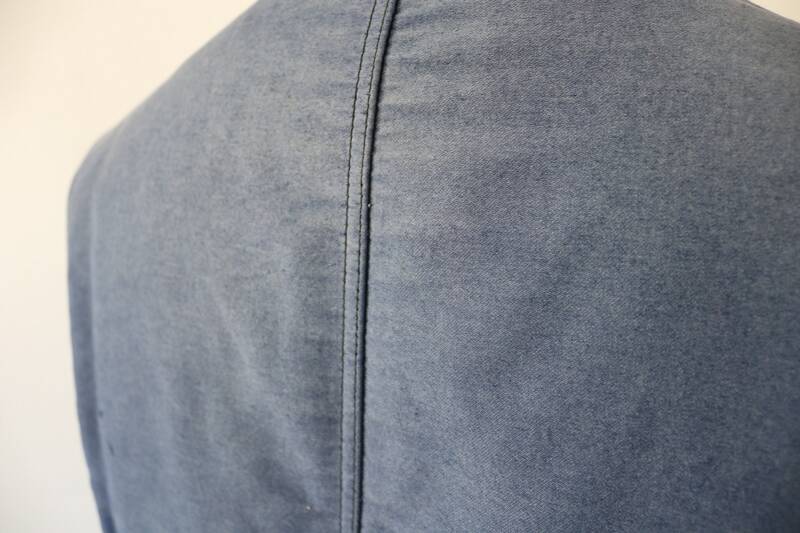 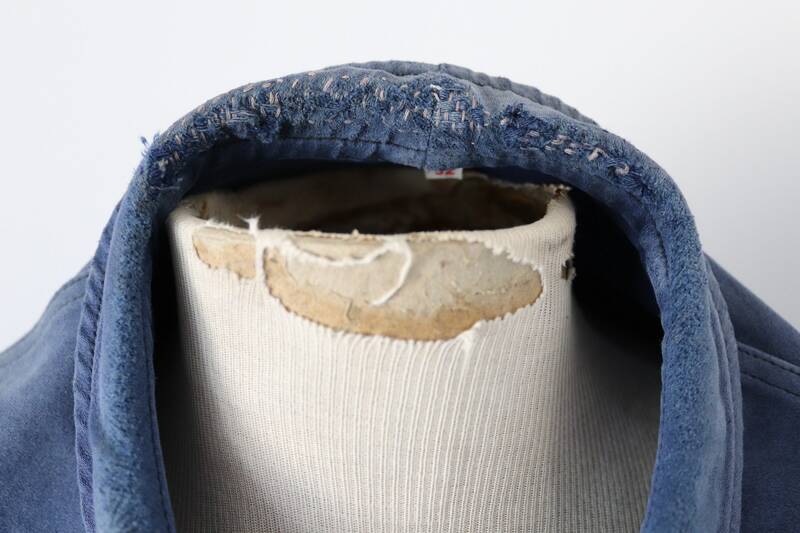 Great fading, soft, thick moleskin fabric, classic French workwear.